16 Nov Best wedding transport provider for the fifth time !!!! We were so pleased to be crowned best wedding transport provider for the east of England by “The Wedding Industry Awards” for the fifth time running during a lavish evening at the lovely Hockwold Hall on Wednesday. The theme for the evening was The Chronicles of Nania The Lion the Witch and the Wardrobe and a fabulous job was done of decorating the marquee and transforming it into the world of this famous fantasy novel, After some networking, bubbly and canapes the serious business of announcing the award winners commenced with a very strong Norfolk contingent in several categories eagerly awaiting the results . The award winners and highly commended on the evening from Norfolk were Mike Savory Wedding Films, Just Big Smiles photography, One Curious Dream wedding planning, Florentina Catering, Pure Bride, Edd Crafer magician, Southwood Hall and yours truly Silverline Limousines & Wedding Cars … All winners will now contest the other regional winners for the national title in what promises to be a spectacular evening at the Café De Paris in January next year. 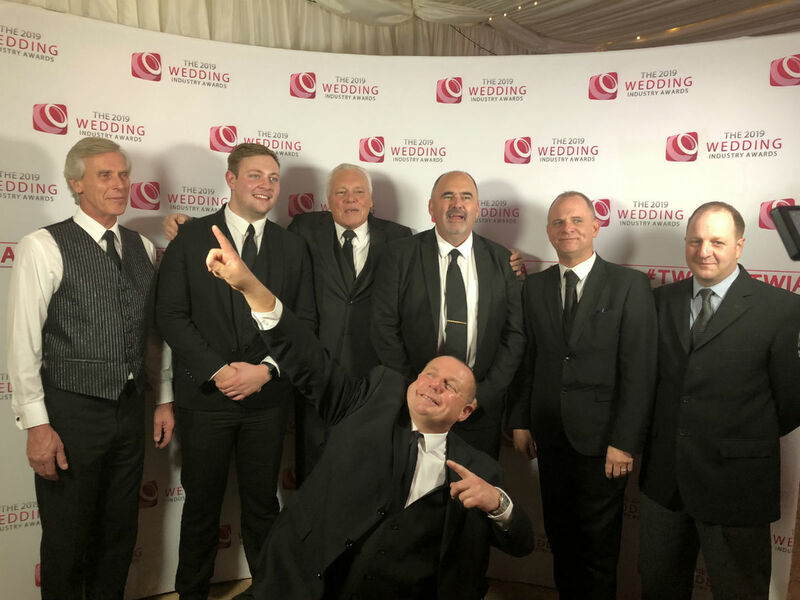 The Silverline team would be ecstatic to retain the national title that we were awarded at the same venue earlier this year, The title means so much to us as it is the feedback from wedding couples that is calculated and considered to announce the winner. To be the best at ones chosen path is incredible and our passion and love for this fabulous industry increases daily. Silverline Limousines are a family owned and operated company and our team of fabulous chauffeurs are pictured enjoying our success at Hockwold Hall, We hope another celebration will be enjoyed in January.